Perch on our iconic downtown LA rooftop - Arrive early to sip a cocktail and enjoy the vibes - Relax as your private helicopter whisks you off to Coachella 2019. Our prefabADU® can be established on properties where there is an existing or proposed primary single-family residence. We provide homeowners with rental income and additional space for family members or caregivers. Each of our three turn-key models includes kitchen, bathroom, bedroom, living room and laundry. Built in California, our smart homes meet the highest national energy efficiency standards. See our collection in navigation menu above! Jennifer Siegal joins Dwell & Fisher Paykel panel discussion in Costa Mesa. OMD’s 1st commercial prefab building to be installed on Venice Blvd - this 3 story, 7,000 sf is composed of 9 steel framed cantilevered modules. The open floor plan allows for fluid interaction, accommodating the creative needs of the client. We are honored to be selected for the 2018 Venice Design Series benefiting Venice Community Housing. Tour our Venice prefab home on May 5th. AIA Residential Architecture Awards 2017 winner, Vertical Venice Prefab. 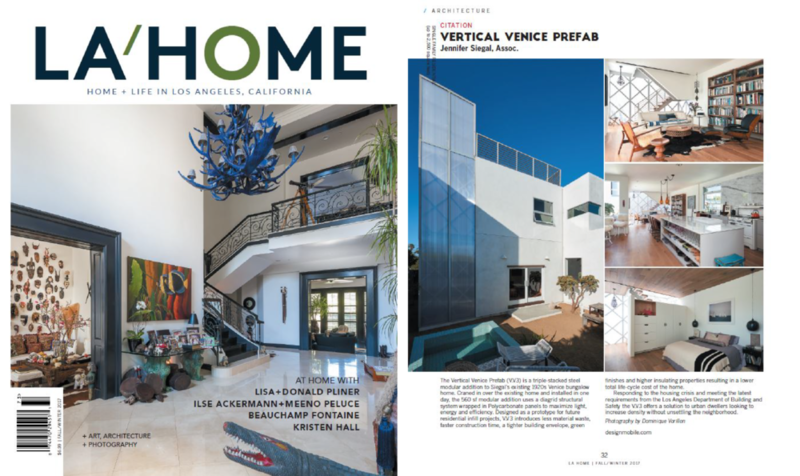 The OMD team thanks LA Home magazine and photographer Dominque Vorillon for their support. Pick up your local "TIME OUT L.A." By Avishay Artsy. Thank you HOUSEtipster. We are happy to share your interview with Jennifer Siegal, USC Professor. Thank you to Emily Henderson and her amazing blog. We appreciate her attention to details and the materiality in OMD’s work. Jennifer Siegal interviewed by House Tipster as part of the Dwell on Design weekend. The interaction with the film crew was outstanding. Thanking our friends at Dwell for all their support. We are pleased to announce the Sanderling Waldorf school project. Planned to be the largest green modular school in Southern California, we are working with colleague Mark Tessier- Landscape. Honored to be recognized with a 2017 AIA Los Angeles Chapter Residential Architecture Award. 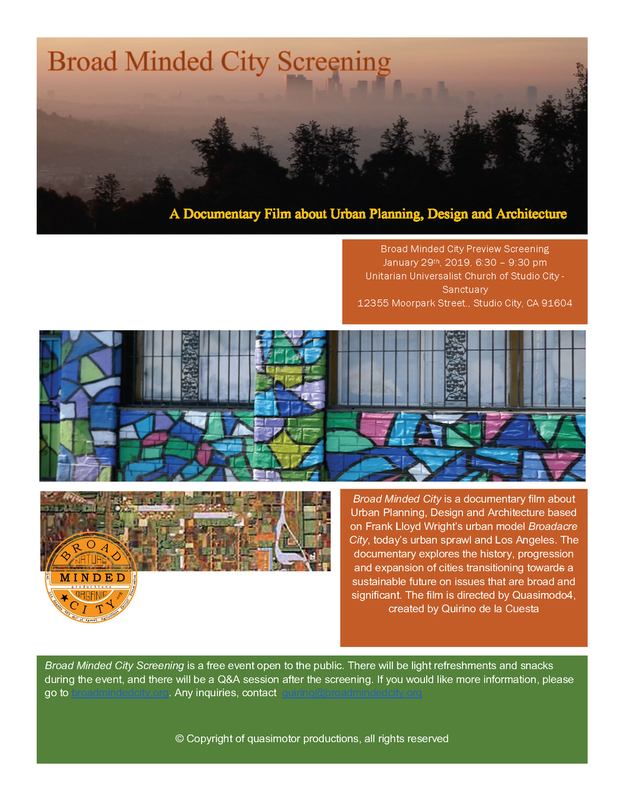 Interview with hunker, reconsidering mobility and real estate. "What I struggle with is the permanence of land ownership more than anything, I would like to see the disintegration of building and ground needing each other in order to create the valuation." Swedish magazine RUM features OMD in its March issue on Los Angeles. Thank you Dwell for continuing to champion the Prefab home as Arts & Architecture magazine championed the Case Study home. OMD is honored to be recognized as a leader in the field. 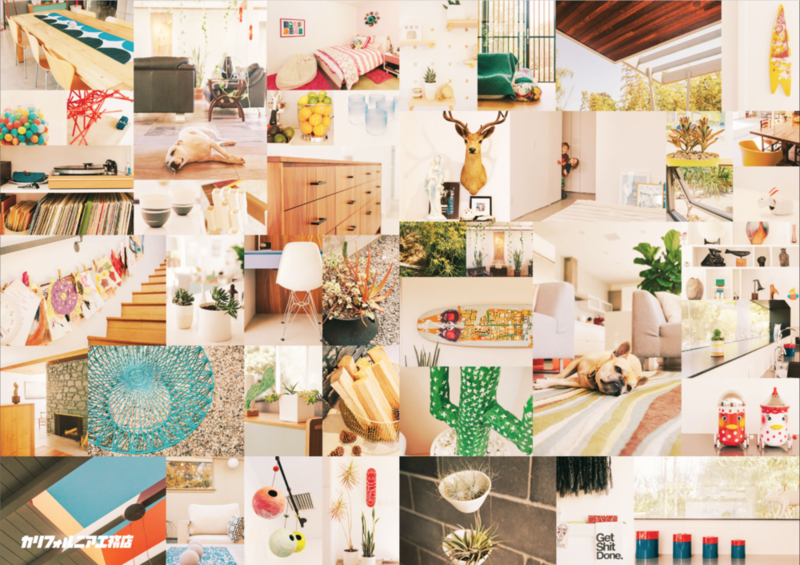 Congratulations Anna and Ricardo Carmargo of your spread in California Style Vol.5 on Zinio. OMD’s first prefab home built in Encinitas, CA and completed in 2008. Jennifer Siegal joins Wildernests as CDO. Wildernests offers revolutionary fully self-sustainable luxury living. Rolling out 2017.